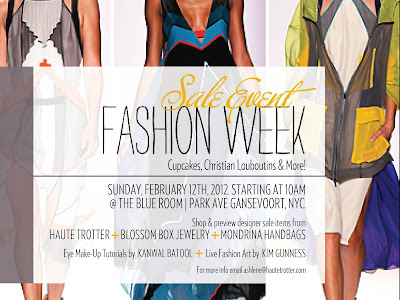 Tyra Mail: Ladies… I know you LOVE to shop so here is your chance to take in “Fashion Week” Shopping event featuring multiple designers THIS Sunday at the Gansevoort Hotel. Check out below what to expect from this event and who will be there. 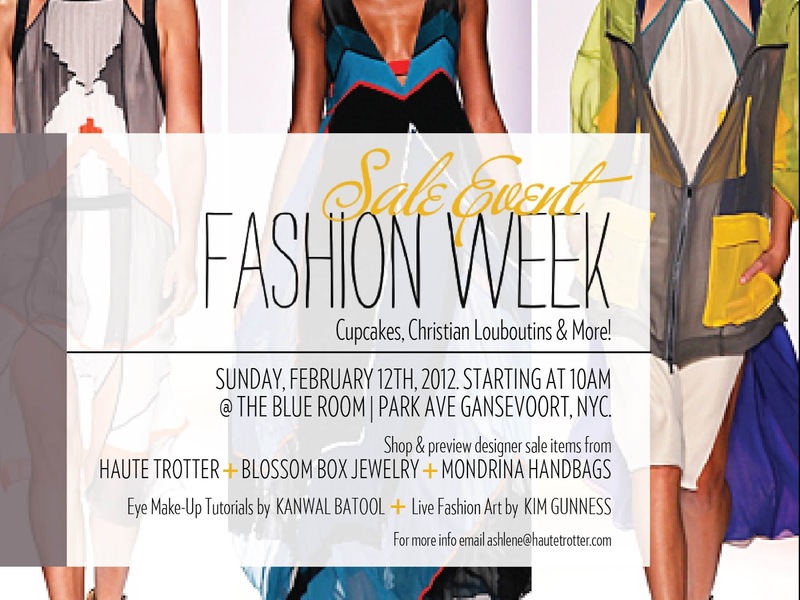 Fashion start-up Haute Trotter (www.hautetrotter.com) will be selling high-end designer finds that everyone knows and loves! Consignment shopping has never felt so good when you’re experience includes Christian Louboutin, Manolo Blahnik, DVF, Chanel and more. Blossom Box Jewelry (www.blossomboxjewelry.com) features an amazing collection of Bollywood-inspired jewelry from designers around the world. Mondrina Handbags (www.mondrina.com) – Originating from Lima Peru, but influenced by the designers life in Sag Harbor, NY, this collection is sophisticated and urban. The “Carry All in Hair Calk” hobo in chocolate, white, black and caramel is a must have for every fashionista! Kanwal Batool (www.kanwalbatool.com) - Kanwal is a well known professional Indian make-up artist and will be teaching women how to achieve a smoky eye with “kajal”, an ancient eye cosmetic dating back to 3100BC where it was worn by Egyptian Queens. In addition, artist, Kim Gunness will be creating live customized art on vibrant color tees. **Be sure to check out ALL of these Up & Coming designers on Sunday & if you go (Puh-lese don’t forget to RSVP) and don’t forget to tell them that Tammy (A Fendi Bag & A Bad Attitude) sent you!